205 FOUR WINNS ® SUNDOWNER ? SPECIFICATIONS The 205 Sundowner is not afraid of the dark, nor will you be when you see how easily the berth converts for sleeping. At dawn's early light, pull up the anchor and make way for home - or better yet, another day on the water. Notable features include an aft shower, ski locker, Corian ® -topped refreshment center with sink, trash receptacle and drink holders, compass, depth sounder, tilt steering. This is a very nice freshwater boat. 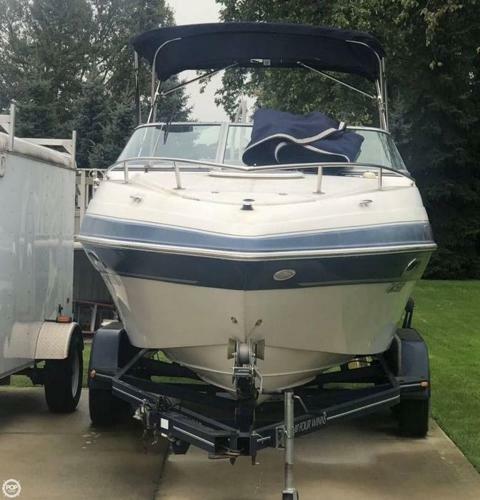 Four Winns Sundowner 205 Cuddy - Excellent Condition!